I'll dive right in because I know you all want to know how these products perform and what they smell/feel like. I was lucky enough to collect most of my stash as Christmas presents. 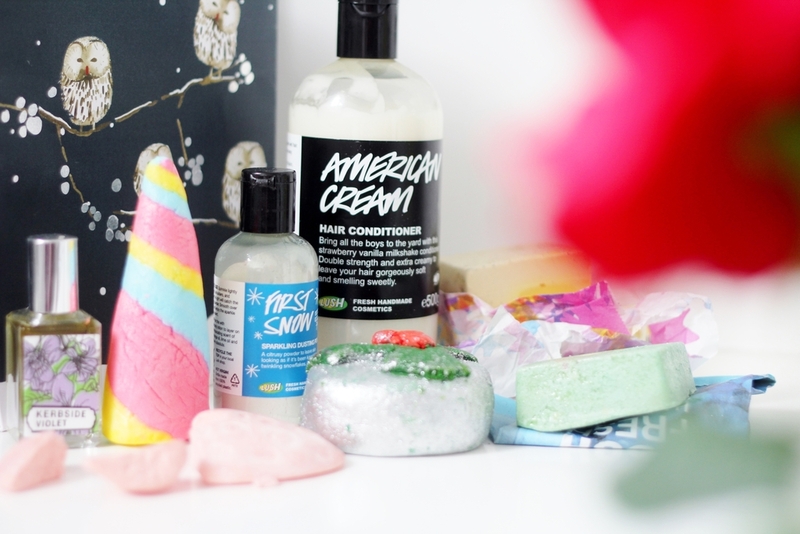 This was the first year I ever really went full-on with all LUSH's winter products, including their Christmas and Valentine's ranges, and I can now proudly say I've tried most of the special editions, and most of the cult classics that I've always wanted to test. This is also the first year I've had a Unicorn Horn, so much excitement all round. Holly Golightly Bubble Bar: You can't really handle Holly Golightly very much, as you WILL get covered in a film of silver glitter and end up looking like Tin Man. Luckily it doesn't do the same when you chuck it in the bath. It makes a really warming winter soak, scented with clove, patchouli, orange and cinnamon. Fabulous if you love mulled wine. Strawberry Feels Massage Bar: This is probably one of my all-time favourite LUSH products. It's a really amazing formula that melts just enough in your hands without getting everywhere, and smells like white chocolate and strawberries. It's great on my dry-ish winter skin and absorbs really easily, and is perfect for couple's massage sessions too, being full of aphrodisiac strawberries. American Cream Hair Conditioner: I've wanted to try this conditioner for such a long time, and it hasn't disappointed me. 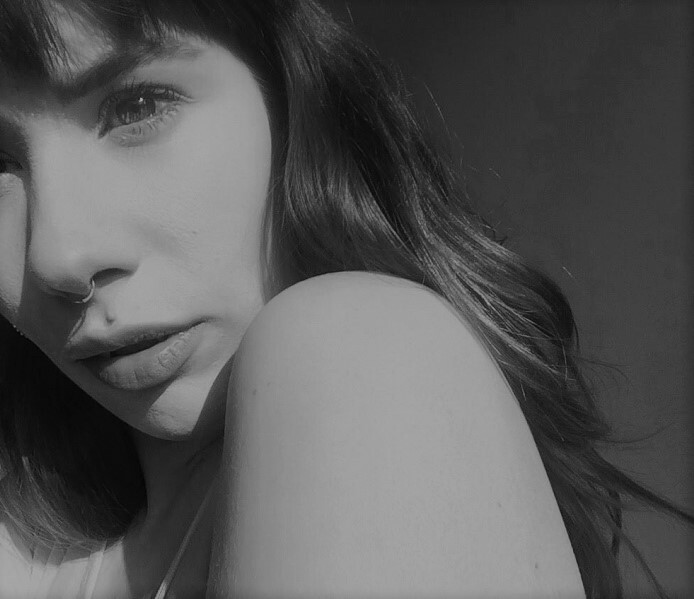 I heard somewhere that is was great for daily use if you have long hair, and I have to agree. As long as I rinse it properly (not being bothered to rinse for long enough is always my downfall, d'oh) then it leaves my hair shiny and smelling AMAZING. It's not as rich as I thought it would be, so even if your hair isn't super long or super dry, then you might still like this. Sea Salt and Peppermint Body Scrub: I am kinda obsessed with both salt and peppermint throughout the winter. I adore salted chocolate and peppermint coffee. This scrub has one of the most fantastically mouth-watering scents and leaves you feeling thoroughly polished. Like, smooth as a piece of museum floor kinda polished. If anything I'd say be careful not to over-exfoliate, or the sea salt will really scrub you red raw. Sticky Banana Soap: This is another thing I wanted purely for the smell, as I have a lot of soap and shower gels already. But I can't resist banana and this struck me as yet another really moisturising cleansing product, which I definitely need. Porridge Soap: Yet another rich and delicious cleansing product, Porridge comes packed with real oats so it gives you a gentle exfoliation as well, and as with all LUSH products, the smell is amazing. I feel like I could write about LUSH forever with just different versions of "this smells amazing" but it's all totally true. 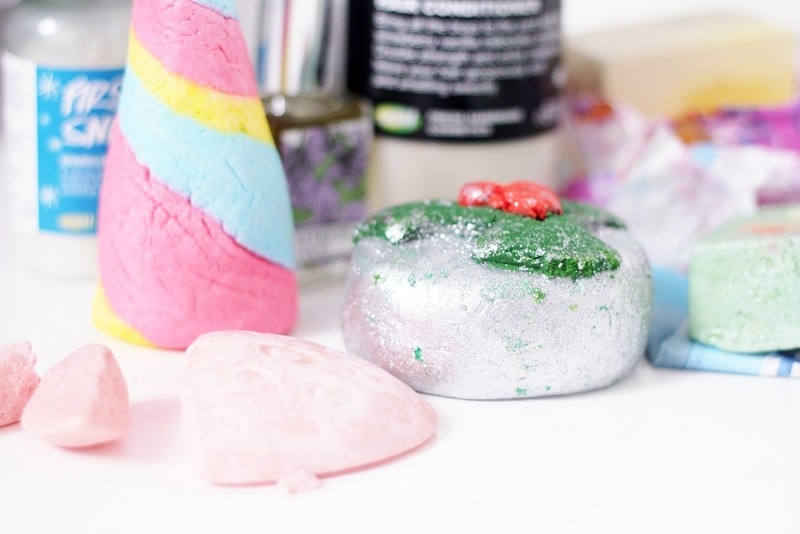 Unicorn Horn: This is the first time EVER that I've bought one of the famous Unicorn Horns, a special edition bubble bar that LUSH bring out as part of their Valentine's day range. I do wish the range had a few more products this year, as I love the Valentine's Day aesthetic of red and hearts and roses, and all the amazing floral and chocolatey concoctions that are possible. Unicorn Horn is definitely my favourite thing from the range. It turns the water bright pastel pink and makes a beautifully fresh and relaxing lavender and neroli scented bath.